So here is the low-down on our boy’s heart. But before I get going on this, I want to tell you that this is just one part of our story. 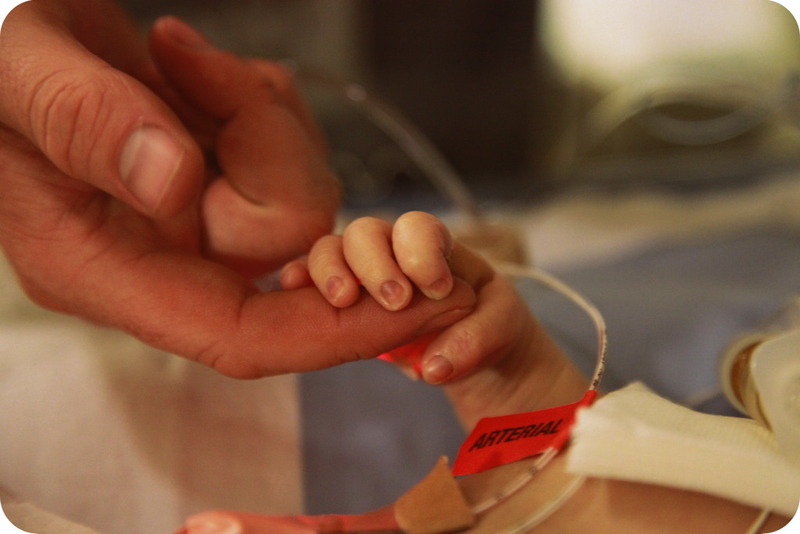 Its a big part, no doubt about it, but his heart condition does not define Albie. It just draws us closer to what really matters in this life – and that my friends is love, love, love. Our boy was born with a previously undiagnosed congenital heart condition. Well, actually four – transposition of the great arteries (TGA), Ventricular septal defect (VSD), Pulmonary stenosis (PS) and sub-pulmonary stenosis. Each of them on their own is quite treatable. But together, they add up to a much bigger deal. Transposition of the great arteries (TGA) is when the two major vessels that carry blood away from the heart — the aorta and the pulmonary artery — are switched (transposed). This means that oxygenated blood is pumped around the lungs and de-oxygenated blood is pumped around the body. Essentially, instead of the plumbing creating a flow in a figure eight, Albie has two parallel circuits going on. TGA is not compatible with life unless there is a hole somewhere in the heart. Thankfully for us, that is exactly what Wrigglesworth also had. The ventricular septal defect (VSD)is a hole in the wall between the right and left ventricles of the heart. Blue blood enters the right heart and is pumped out into the lungs. The red blood returns to the left heart from the lungs, but as it comes into the high-pressured left ventricle, some of the blood meant to be pumped out to the body is forced across into the right ventricle. There the extra blood is pumped out to the lungs. This means that the lungs see more blood volume than they should, and the body sees less oxygen rich blood than it should. This hole in the heart was actually a great thing for our mister as it meant that at birth some oxygenated blood got around his body and some deoxygenated blood got into his lungs which stopped him from reaching critically low oxygen saturation levels. Pulmonary stenosis and sub-pulmonary stenosis simply means that his pulmonary valve, and the artery itself are much, much narrower than they should be. The valve is thick, and does not open properly, and his artery doesn’t allow enough blood through either. In his open heart surgery, they will replace his pulmonary valve, and part of his artery completely with a transplanted conduit. This will need to be replaced as he grows. Albie had a balloon septostomy, a failed cath and a BT shunt placed all within his first six weeks of life. These didn’t correct any of his heart problems, but were just gap-stop measures so that he could get big enough for the full open heart corrective surgery – a Rastelli operation. I wrote about what the Rastelli operation is here when Albie got very close to having it done around Christmas 2011. 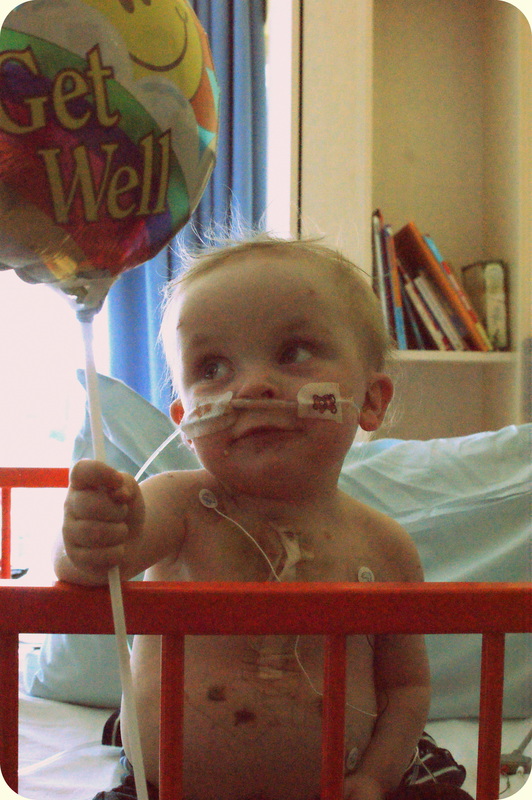 Albie had his Rastelli operation on 14 August 2012. He had a 16mm Hancock conduit placed to replace part of his pulmonary artery and his pulmonary valve. The rest of his heart was patched up. He was recovering really well from the operation until the next morning when a routine monitoring line was removed from the outside of his heart. This caused a cardiac arrest and his heart went into severe dysfunction. His medical records read that he had what is called a ‘Pulseless Electrical Activity Arrest’ and they did not know if his heart would ever work again. An ECMO machine did the job of his heart (and lungs) for him for four long days and nights – the most frightening of our lives. Albie pushed through it all – with astounding tenacity. He suffered some small brain hemorrhages from the arrest and his time on ECMO, so its likely there will be some developmental delays. But he is rocking it nonetheless. Hopefully his Hancock valve will last for around eight years. For some kids it only lasts one year. Its just a wait and see game. As is all of this.And then we’ll do it all again. I am keeping such thoughts far from this thankful mind. Oh – and Albie had a nasal-gastric tube from April 2011 till after his Rastelli operation in August 2012 – 16 months. He needed it because his blood circulation was crazy inefficient and he burned up lots and lots of calories. Butterflies, from the Cardiology Department at the Royal Children’s Hospital, Melbourne, Australia. Heyyyyy!!!! your little man is so scrummy!!! thank you for your message, you have my email address now so keep in touch! … Im on Facebook too if you are? Ethans been FANTASTIC since his rastelli, which he had a year ago. sats of 98%!! unfortunately now we need to look at his pulmonary stenosis again as his was quite bad but honestly, the rastelli was a godsend for us. They were talking about doing a nikaidoh – which is a better option as it requires no further surgery but he wasnt suitable. so we went with the rastelli. Oh thanks for replying – it is great to hear from you! I have been trawling the internet for other Rastelli kids, but am coming up short. Do you know of any more? Its really, really good to be able to read others experiences so thanks so much for sharing yours. So STOKED to hear that the Rastelli worked so very well for Ethan, we are hoping for something similar for Albie. The doctors here want him to get between 6-8kg before they do it, so in the meantime we have had a shunt put in place to help his sats, as Albies pulmonary stenosis was really playing havoc with them. I will ask the team about Nikaidoh and see if it could fit our situation at all, thanks for putting us on to that possibility – the idea of one more surgery, with nothing else needed after, would be so very cool. I will add you as a friend on facebook too so we can keep in touch easily. Super dooper – the joys of the internet never cease to amaze me! I just want you all to know that I’m thinking about you lots, as is Liam, we talk about you and we’re so glad we can share your adventures. We know parenthood is tough and we know there is nothing like it, nothing so amazing as loving your children. So wonderful to see photos of you all – what a gorgeous little boy! There’s so many things I could say but I’ll just say that I’m sending you all my love and happy thoughts. No doubt Liam will write to you himself soon – I know he wants to get in touch. http://www.withallmyhearts.blogspot.com My daughter Alexa is 2 and half and had the BT Shunt at 13 days old and the Rastelli at 17 months. I came across this blog through your Wedding Graduate Post on APW. I just wanted to tell you that my brother was born with TGA and he is now a healthy and thriving 24-year old young man. Your son is just beautiful and I wish your family the best! Sarah, Just rewatched the video at the end of this post and am thinking (through tears, as we do) that it is perhaps no coincidence that Albies second word after mama, was ‘tiger’ 🙂 . Many of our thoughts will be with you everyday as you prepare for the next step in the journey. A big hello to the Hopkinson Family from the UK! I came across your blog whilst searching for an old friend of the same name and I was hooked. I hope you don’t mind. You sound a lovely family. Am so pleased I found it in time to wish you and your beautiful son Albie all the very best for next week. I am the Mummy of 3 little boys aged 6yrs, 3yrs and 3 months and I am really rooting for you and your brave little man! Take care of each other and my thoughts are with you all for a very happy and healthy 2012!